Tachyon Dynamics provides the highest level of enterprise systems and network design/engineering, using agile engineering methods. For over a decade, Tachyon Dynamics has focused on Internet Protocol version 6 (IPv6) and the design, development, and vulnerabilities of migrating from IPv4. Tachyon Dynamics provides superior consulting services to hundreds of commercial IT equipment vendors in order to assist them in achieving certification on the U.S. Department of Defense Information Network Approved Products List. Tachyon Dynamics provides the highest level of enterprise systems and network design/engineering using the Systems Development Lifecycle (SDLC) methodology, also known as the “waterfall” method, and the best of stakeholder interactions included in the “Agile” method. This hybrid model has enabled Tachyon Dynamics to provide its customers with superior and highly reliable IT infrastructures, all while keeping the customers completely involved throughout the entire process. Our engineers develop enterprise solutions on a regular basis for large government agencies, and through our internal quality assurance program, vet those solutions in order to maintain a high level of customer satisfaction. This process allows each solution to be fitted for each environment, yet still providing the highest level of solutions possible. Tachyon Dynamics provides real-world solutions, re-purposing equipment if possible, so your organization can “phase out” End of Life equipment, minimizing out of budget expenses. In today’s market, with budgets decreasing annually, we provide the best value solution with the most cost-effective utilization of your current IT expenditures. IPv6 for Network Engineers: Detailed technical knowledge and hands-on lab work for network engineers focusing on Cisco routing and switching environments. IPv6 for Server/Systems Engineers: Basic to highly technical knowledge and hands-on lab work for systems engineers focused on Microsoft Active Directory and Server 2008 R2 environment. IPv6 for Information Assurance (IA) and Cyber Security Professionals: Basic to highly technical knowledge and hands-on lab work for IA professionals focused on IPv6 threats and vulnerabilities as well as DoD-specific IPv6 requirements and regulations. Tachyon Dynamics provides real-world solutions, re-purposing equipment if possible, so your organization can “phase out” End of Life (EoL) equipment, minimizing out of budget expenses. In today’s market, with budgets decreasing annually, we provide the best value solution with the most cost-effective utilization of your current IT expenditures. hardening OS images from Microsoft Windows Server 2008/2012 R2 and Red Hat Enterprise Linux using Defense Information Systems (DISA) Security Technical Implementation Guides (STIGs). Provide a charge-back system to show managers/CIOs the current utilization of their cloud resources by specific users/systems. Provide a self-service, web-based, customer-facing portal that is integrated in the organization’s current Information Technology Infrastructure Library (ITIL) workflow and change management process. Provide a public, private, or hybrid cloud strategy. 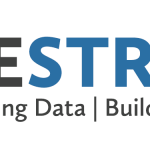 Design a public cloud infrastructure for public-facing systems and applications with some of the world’s leading commercial cloud solutions companies. Integrate leading cloud-based networking technologies like Software Defined Networking (SDN) and Network Functions Virtualization into private cloud solutions. Develop roles and responsibilities for the framework around “who does what” in Infrastructure as a Service (IaaS), Platform as a Service (PaaS), and Software as a Service (SaaS). Tachyon Dynamics provides the most cutting edge and highly-available private enterprise cloud solutions in the U.S. Federal and DoD marketplace. Let us be your cloud integrator today! 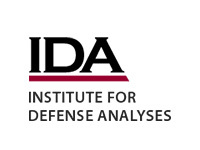 Tachyon Dynamics provides superior consulting services to hundreds of commercial IT equipment vendors in order to assist them in achieving certification on the U.S. Department of Defense Information Network Approved Products List (DoDIN APL). With the DoD’s new push towards a converged and joint IT equipment certification, there is an opportunity for commercial equipment vendors to get their IT products certified in an easy and cost-effective manner. Navigating this process for inexperienced vendors can be confusing and daunting. This is where we come in. 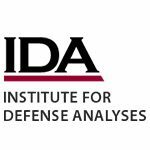 Tachyon Dynamics has engineers on staff that has worked at the Defense Information Systems Agency (DISA), Joint Interoperability Test Command (JITC) and are very familiar with the current process and test strategies. We can help your commercial IT equipment company get your foot in the door and get your valued and desired IT products in the hands of the U.S. Military soon! Just get in touch with us now! Given the current INFOSEC and budget conditions in the US Government, US corporations and the DoD, need a reliable, secure and inexpensive two-factor authentication system. Current providers like EMC’s RSA SecurID have proven security issues and have nearly crippled IT enterprise budgets at the same time. The time has come to provide a more secure and inexpensive solution. 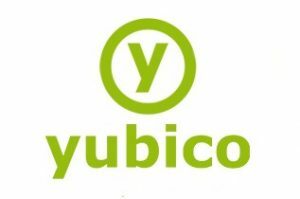 At Tachyon Dynamics, we have built, secured, tested and hardened a robust, inexpensive, and highly flexible two-factor authentication solution introduced by Yubico called TDIYubiServ. Users authenticate using something they know (username/password) and something they have (hardware token called Yubikey). 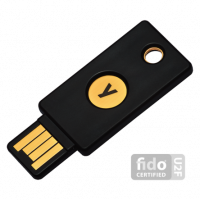 The Yubikey is a USB token-based One Time Password (OTP) device. Tachyon Dynamics customized the platform available to all of our previous, current and future clients. The Tachyon Dynamics TDIYubiServ system has been hardened by utilizing DoD Secure Technical Implementation Guidance (STIG) and a secure virtualized implementation of RedHat Enterprise Linux 6.9, and numerous different authentication clients/servers embedded (TACACS+, RADIUS, Windows Active Directory, or local accounts). The difference with TDIYubiServ from others? TDIYubiServ contains numerous mechanisms to interface with your infrastructure devices and systems like: a FreeRADIUS server (the Linux RADIUS server), the Yubico-validation server, a tac_plus server (the Linux TACACS+ server), a Windows active directory/Kerberos client, a RADIUS client using pam_radius, and local Linux accounts managed through the local PAM database. Please get in touch with us as we can help in any of your future multifactor authentication implementations: Contact us today! Jeremy has spent over 15 years working in enterprise IT doing next generation technology deployments like IPv6, advanced networking, and open source solutions. He participates regularly with the North American IPv6 Task Force; often speaking at the North American IPv6 Summits each year. Jeremy spent 11 years in the U.S Marine Corps deploying to Iraq twice during Operation Iraqi Freedom 1 and 2 as a Communications and Information Systems Officer. Jeremy has worked in the DoD with a wide range of information security, network engineering, and network architecture experiences with the Pentagon JSP, DISA, DLA, JITC, DTRA, and DTIC. He currently leads up Tachyon Dynamics’ DoDIN APL Consulting and IPv6 training and engineering portfolios. He has a Masters of Science in Information Systems. Joe has spent over 20 years working in IT enterprises. He has a wide range of experiences in designing, deploying, and maintaining enterprises systems. Joe worked in the deployment of the US Army’s Army Knowledge Online (AKO) system, as well as numerous high-profile DoD projects with the Defense Threat Reduction Agency (DTRA) and the DoD Office of the Secretary of Defense, Chief Information Officer (OSD CIO) providing cutting-edge virtualization and cloud computing initiatives within the Pentagon. He currently leads up Tachyon Dynamics’ Systems Engineering and Virtualization/Cloud Computing Portfolios. Joe also leads up Tachyon Dynamics’ Tidewater/Hampton Roads Office. Approved Products List (APL) consultants ensured these clients were prepared for testing at the numerous DoD test facilities. 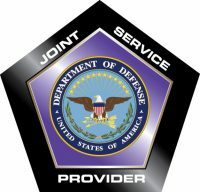 Approved Products List (APL) consultants ensured the IT products for these clients were certified by the DoD for cybersecurity and interoperability. These efforts resulted in a 100% pass rate. Senior IPv6, network, systems, cybersecurity, and virtualization engineers provided highly-competent support for numerous commercial and U.S. Federal Government organizations. "Tachyon Dynamics provides the highest quality of technical acumen and consulting excellence." "Tachyon Dynamics provided Pulse Secure with the highest quality and professionalism throughout the entire process." "Tachyon Dynamics' technical expertise, responsiveness, and overall professionalism were an integral part of the success of this certification for Aviat Networks!" Thank you for taking the time to reach out to us! We value your time and will respond very soon!